Carbon pollution from burning coal was not the only major environmental concern this past holiday weekend. 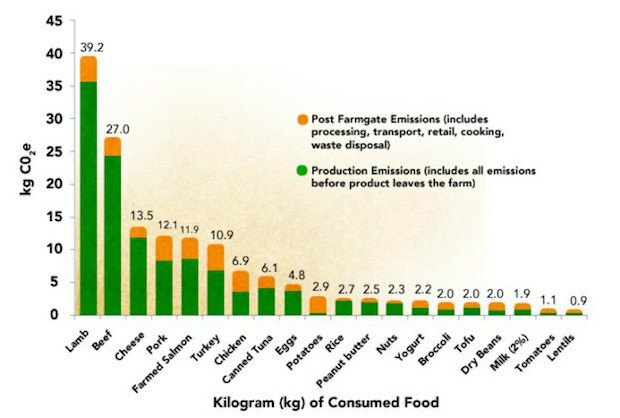 Consuming meat products such as burgers and hot dogs produces more emissions than vegetable products or even burning coal in a grill, as farming itself emits more than post-farmgate consumption. Red meat has the highest environmental impact, due to the amount of methane released in the air by cows, which is 25 to 36 times more potent than carbon over the course of 100 years. The United States is still the nation with the highest carbon footprint, both historically and in future projections due, at least in part, to the traditional USA! USA! fireworks-related something-something-history-related holiday fare.